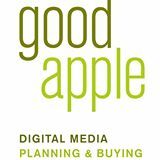 On Wednesday, June 11, 2014 from 9:00 a.m. to 4:30 p.m. ROCeteer and Good Apple Digital joined forces to bring the Digital Download Speaker Series to Work in Progress in downtown Las Vegas. To goal of the series was to teach entrepreneurs how to identify and develop online audience, create brand awareness, and develop owned, earned, and paid media strategies to target the demographic best suited for their product. “The Digital Download Speaker Series was inspired by a conversation I had with Jenna Dykie, Director of Business Development, Good Apple Digital,” said Kimberly Guiry, Happiness Astronaut at ROCeteer. “Jenna has recently located to DTLV to open a Vegas outpost. Kimberly Guiry says the event was held to attract those looking to learn more about digital media. What is your company’s meaning? Why does your company/brand exist? What would the world be missing out on if it didn’t exist? Who would miss your company if we were gone? He told the attendees that the meaning of the business helps set the tone for the entire business online. “Join now” is a good call to action on Facebook. They find it’s less committal to the user in comparison to calls to action such as “Sign up”. They also suggest checking out Facebook.com/powereditor if you do a lot of Facebook ad spends for your company. It’s a great tool to keep track of the data. ROCeteer’s Kimberly Guiry says there are many more workshops, speaker series and business boot camps to come. “Co-learning is a core focus of the Roceteer model. I am inspired to create as many traditional and out-of-the-box events as possible. I am currently planning an event for late July- think ‘education meets recreation to create relaxation’ …that’s the teaser,” she said. Interested in learning more about how ROCeteer was started? Read this interview with CEO Mark Rowland.